You can access the profile view by clicking on your profile and clicking on profile. 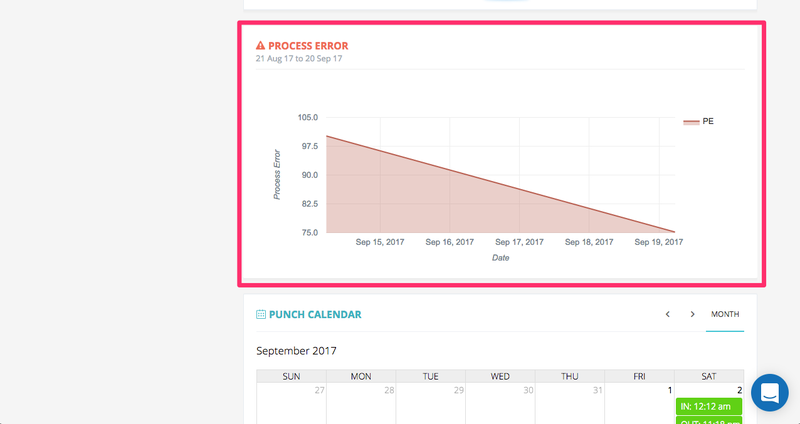 The data on this page is calculated as per the date range selected. By default the last 30 days is selected. 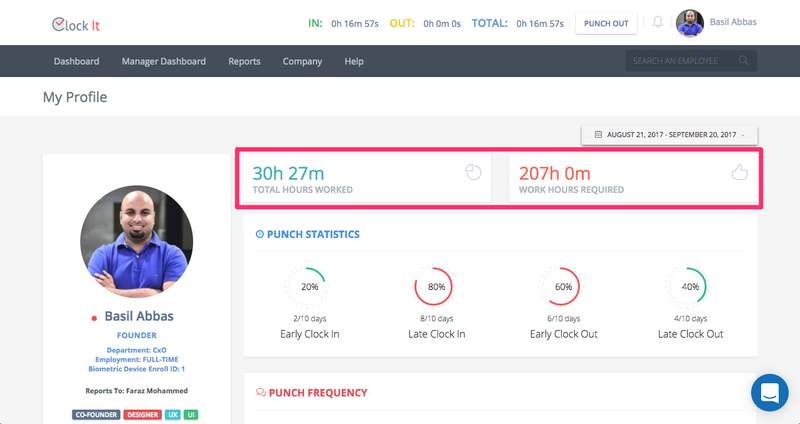 The total hours worked is the sum of all hours that you have punched in excluding your calculated breaks as per the punch algorithm. Note: This value changes as per the date range selected. This is the total required hours as per your time template. This excludes holidays and weekends. The punch statistics will show the total days of early/late punch IN and early/late punch OUT. 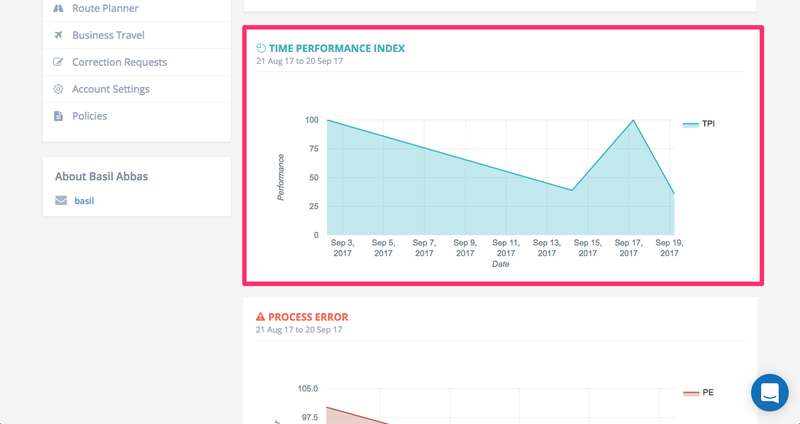 These values are only accurate if your company follows strict timing policy. 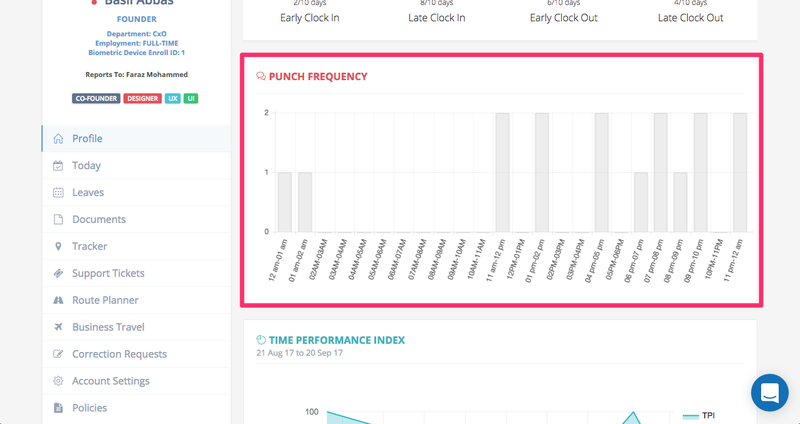 The punch frequency will indicate the during which hours of the day are the most punches recorded. 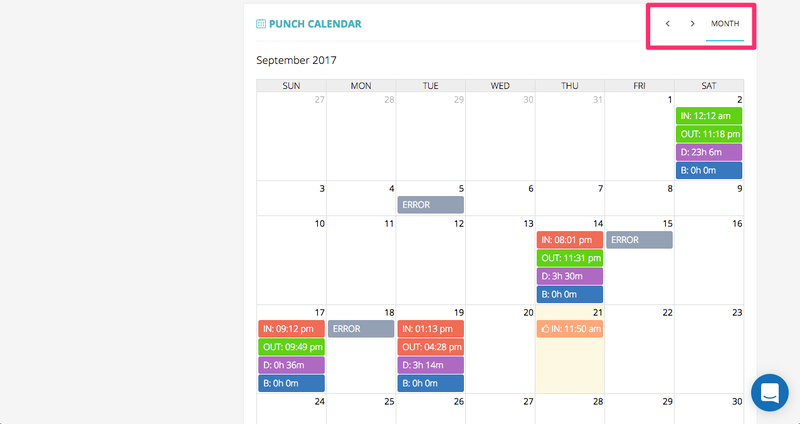 The punch calendar is where all your punches are shown. 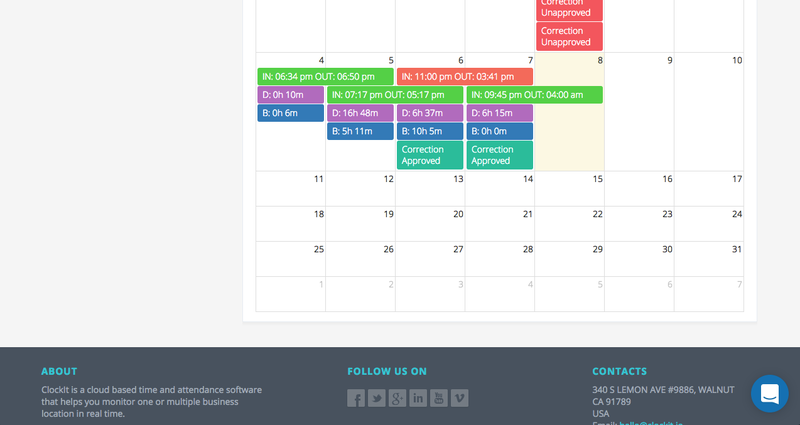 This calendar also shows the holidays, leaves/vacation and correction requests on your account. You can view the previous months by using the arrow buttons on top. 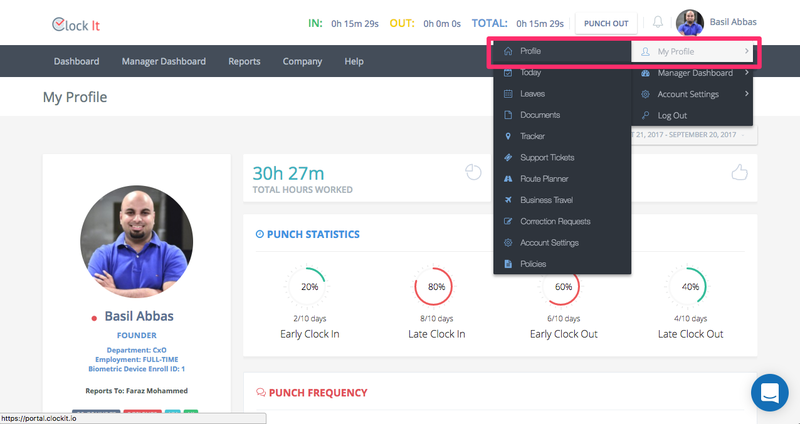 If your company applies rounding rules, this calendar will only show the rounded times. To view the detailed punches for the day, click on that day. There are a important status that each cell may show based on your IN and OUT times. A red colour on the punch means that you are either late to enter of have left early. An extended IN and OUT over two days means that you have started your shift on the 4th but ended your shift on the 5th early morning. D indicates the work duration and B indicates the break duration. The work and break duration is always calculated for the day that the shift has stared. 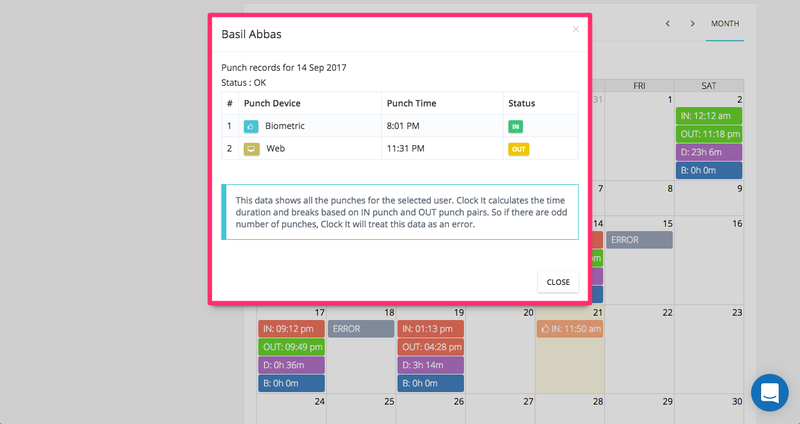 If ClockIt sees that there is a missing punch, it will be indicated with a missing out punch status. If you would like to correct any of the punches follow this article. How to raise correction requests. Note: Correction requests can only be raised for past days and cannot be raised for today.